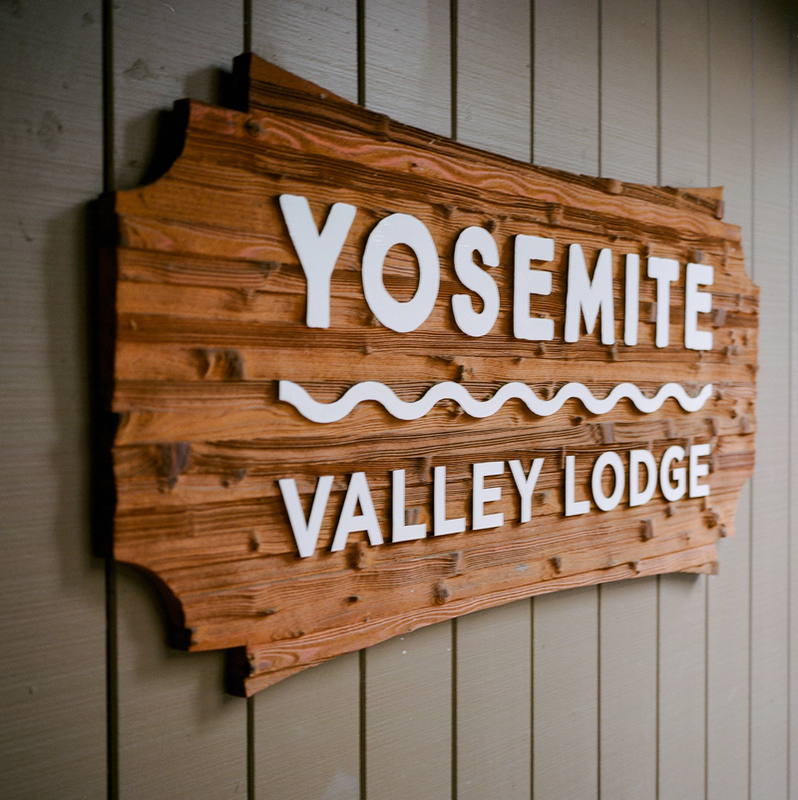 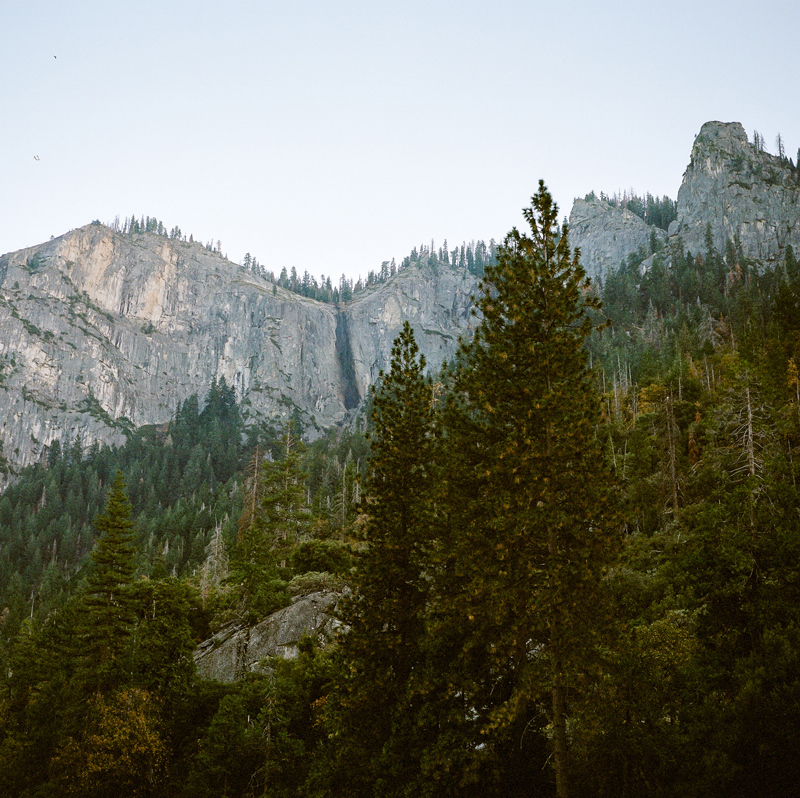 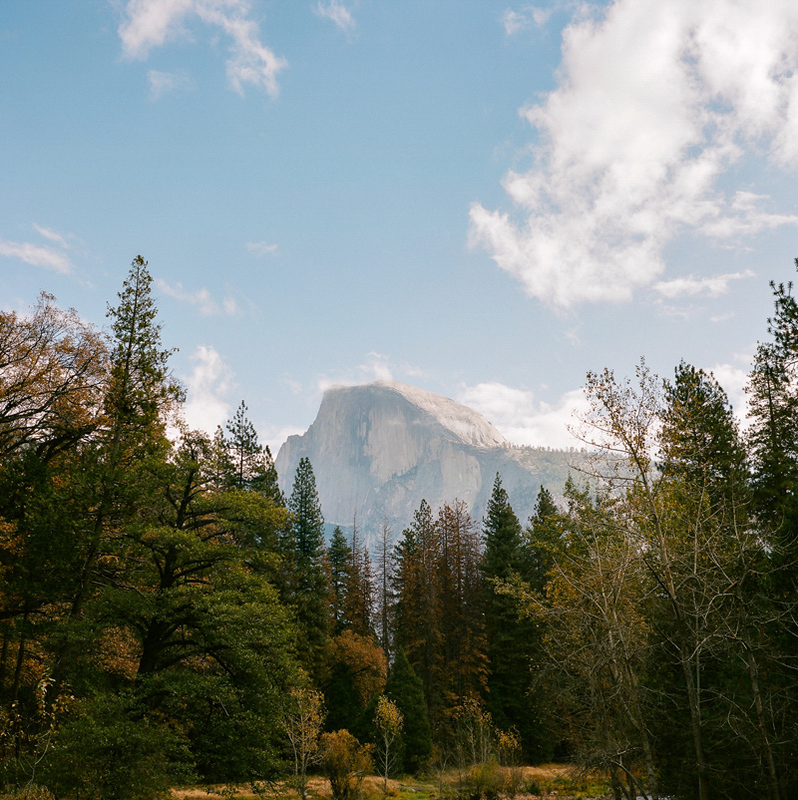 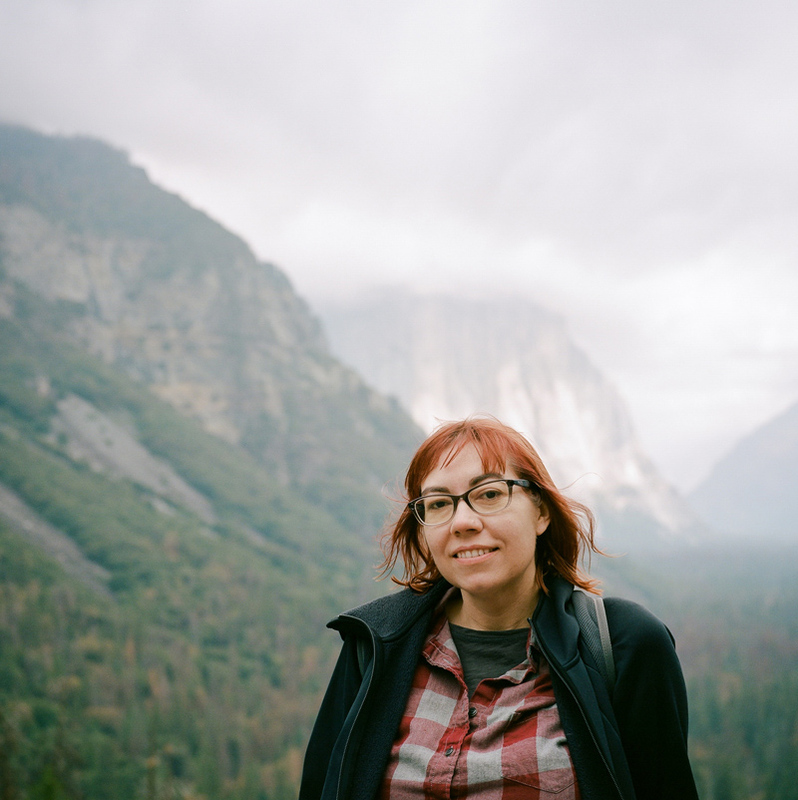 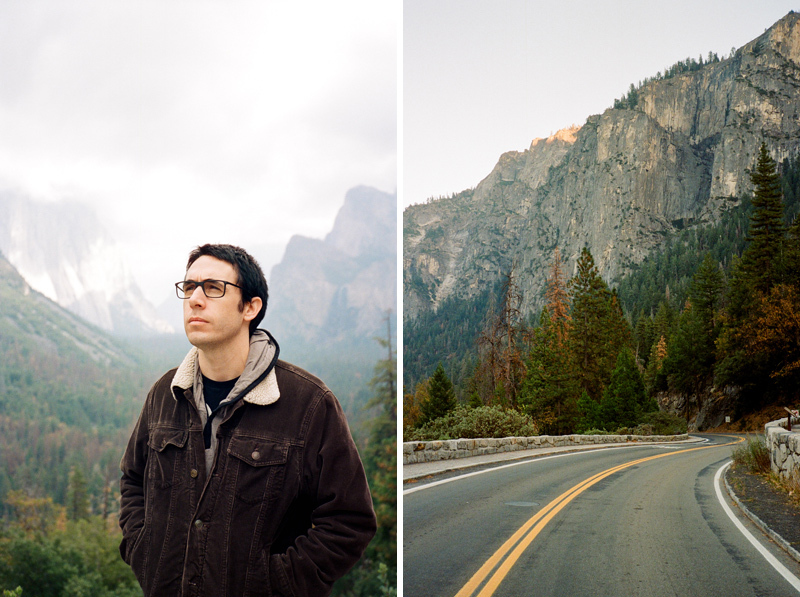 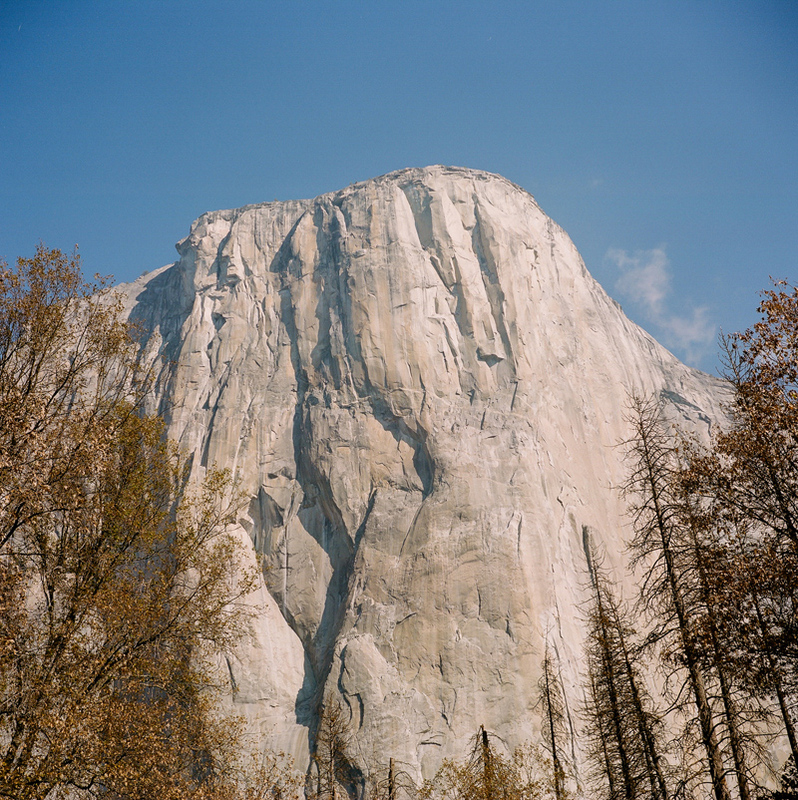 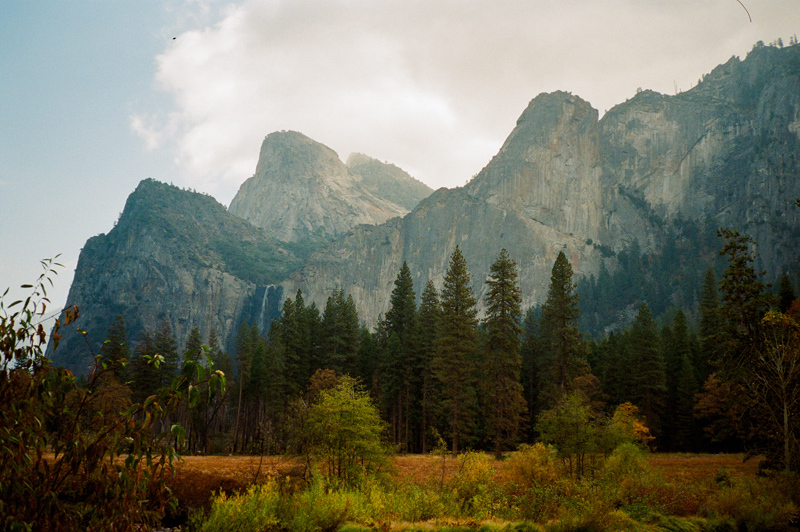 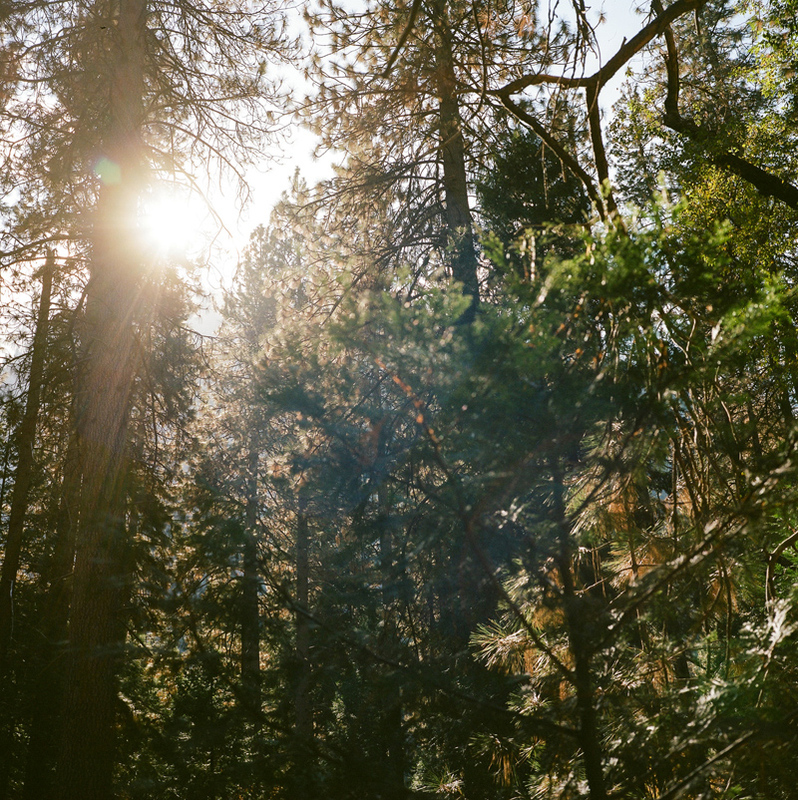 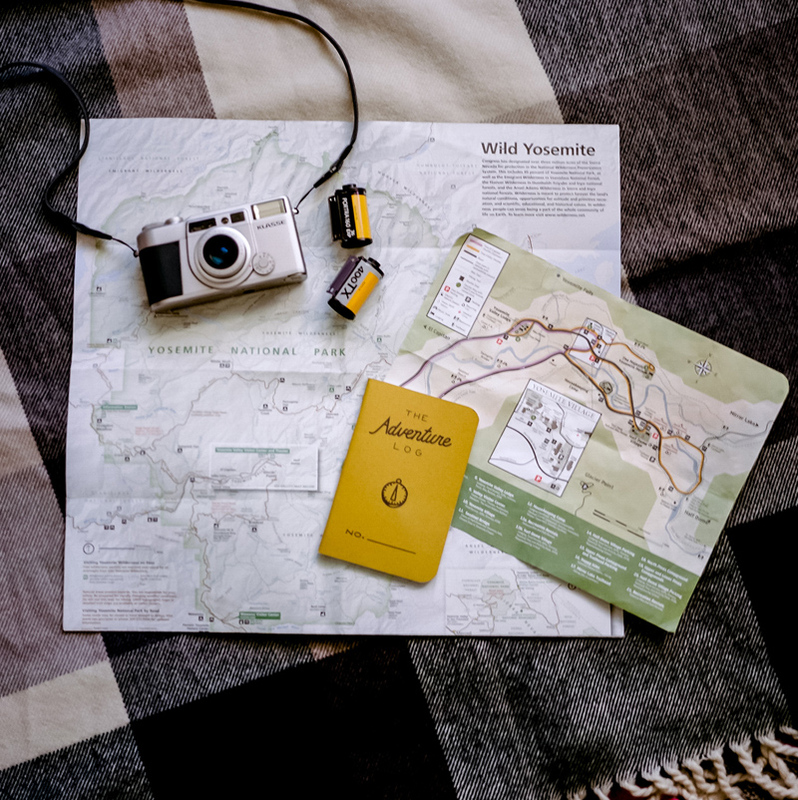 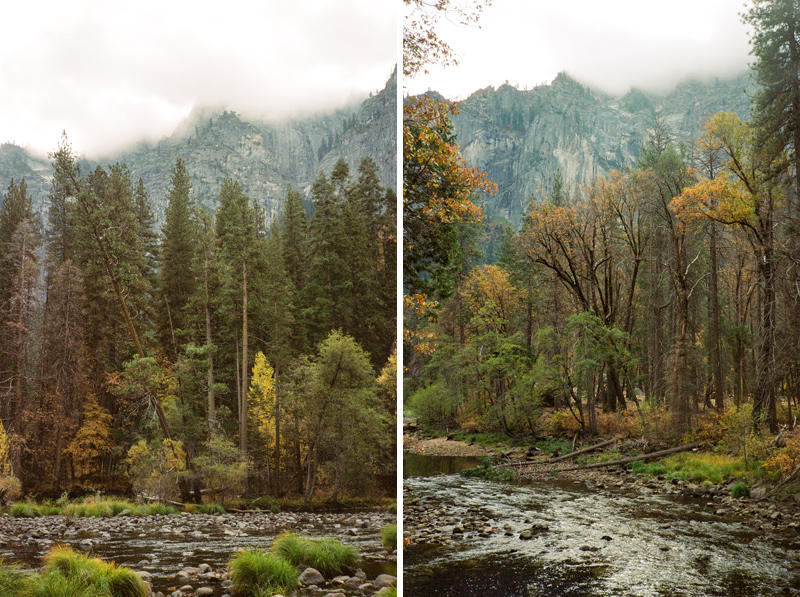 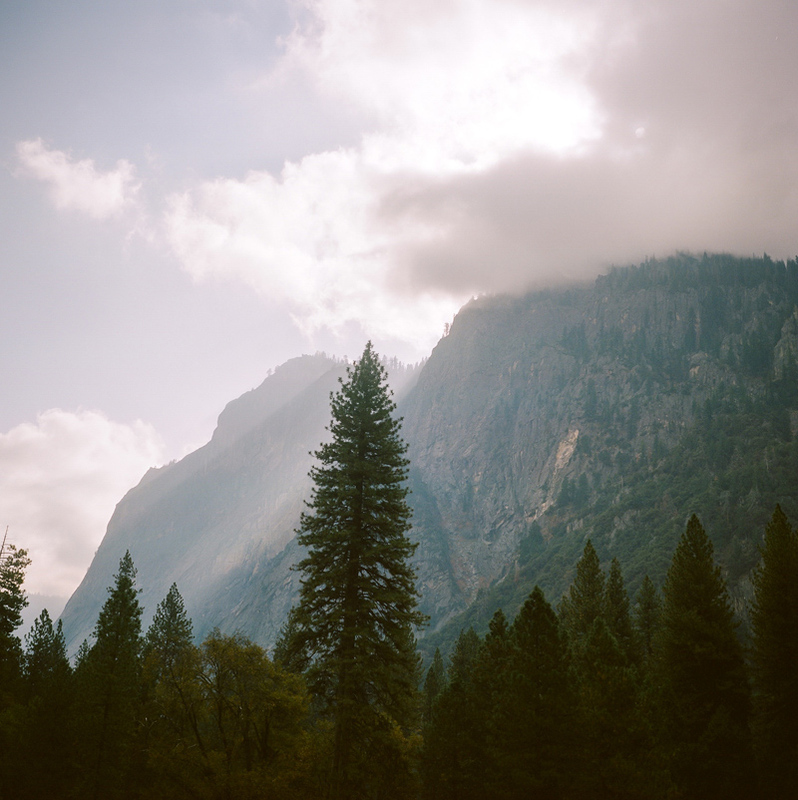 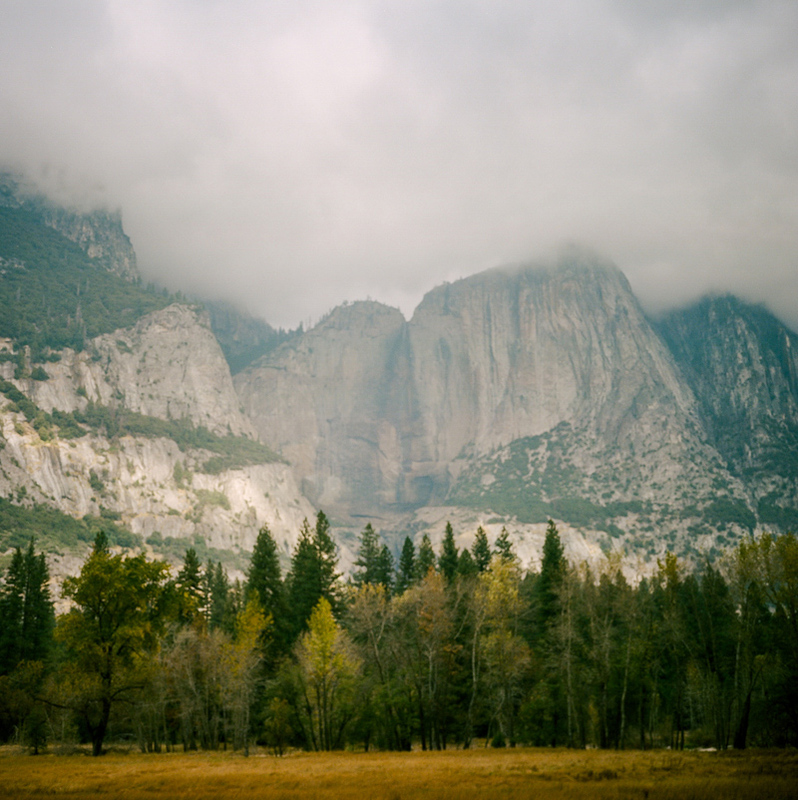 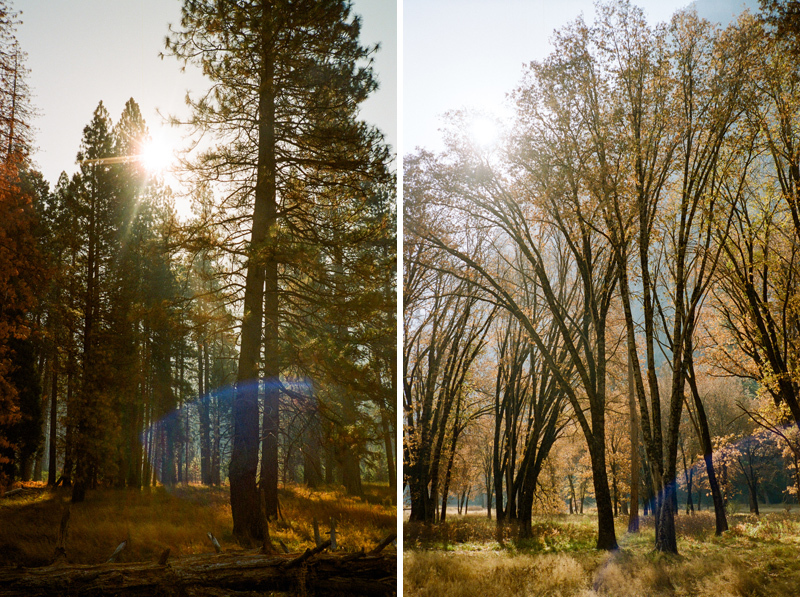 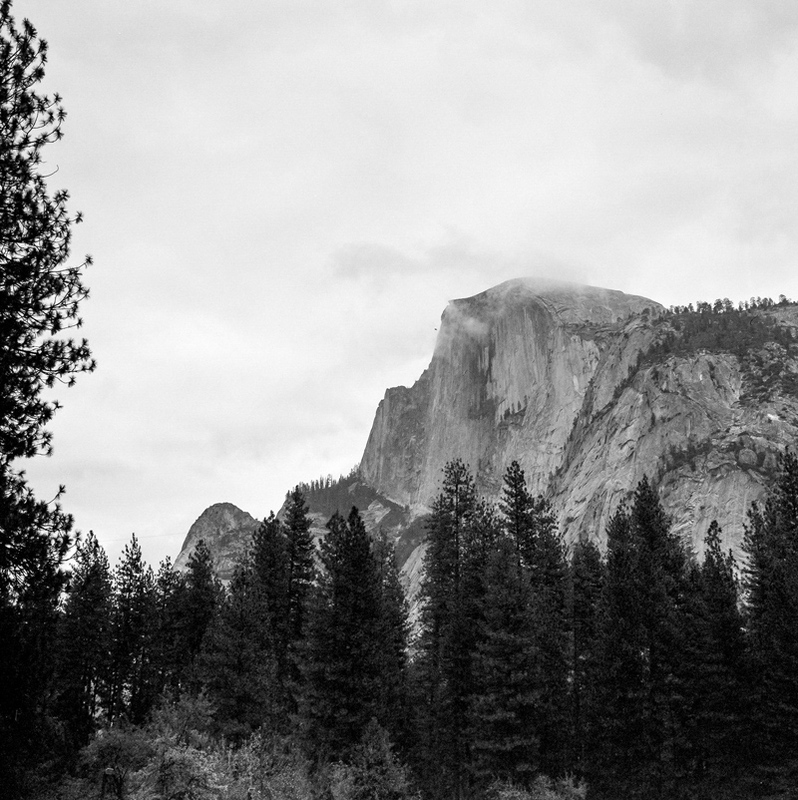 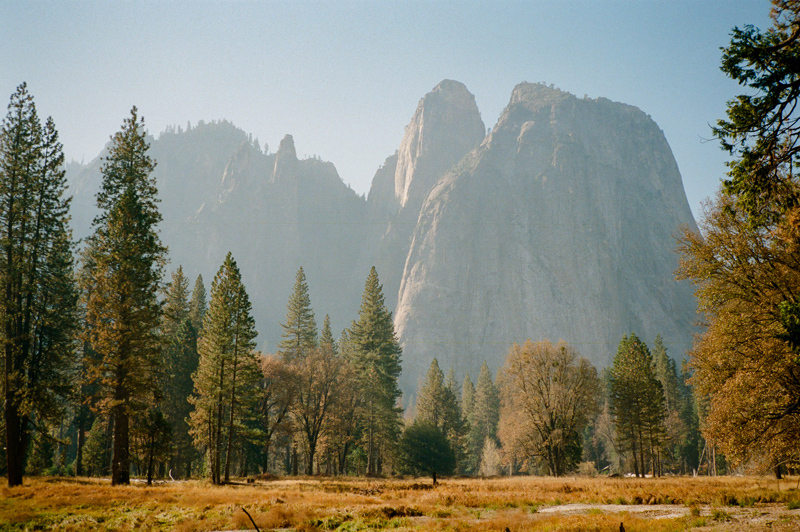 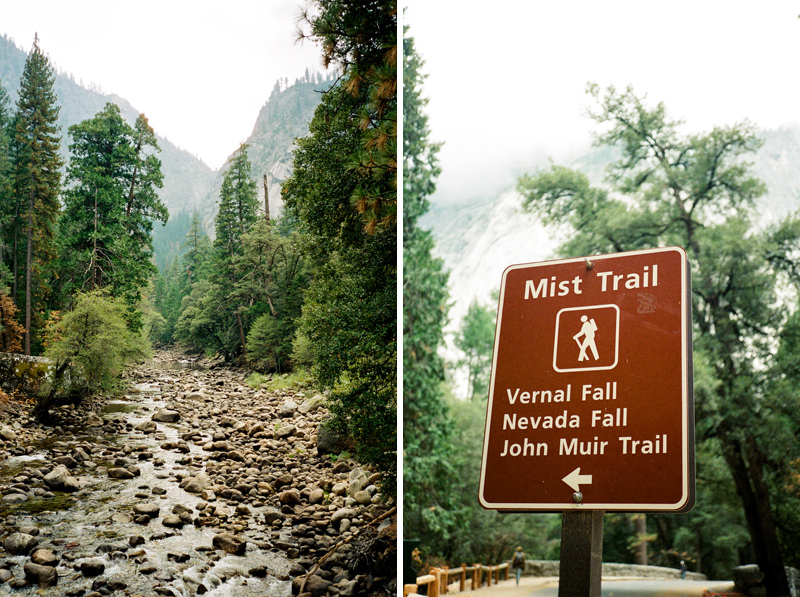 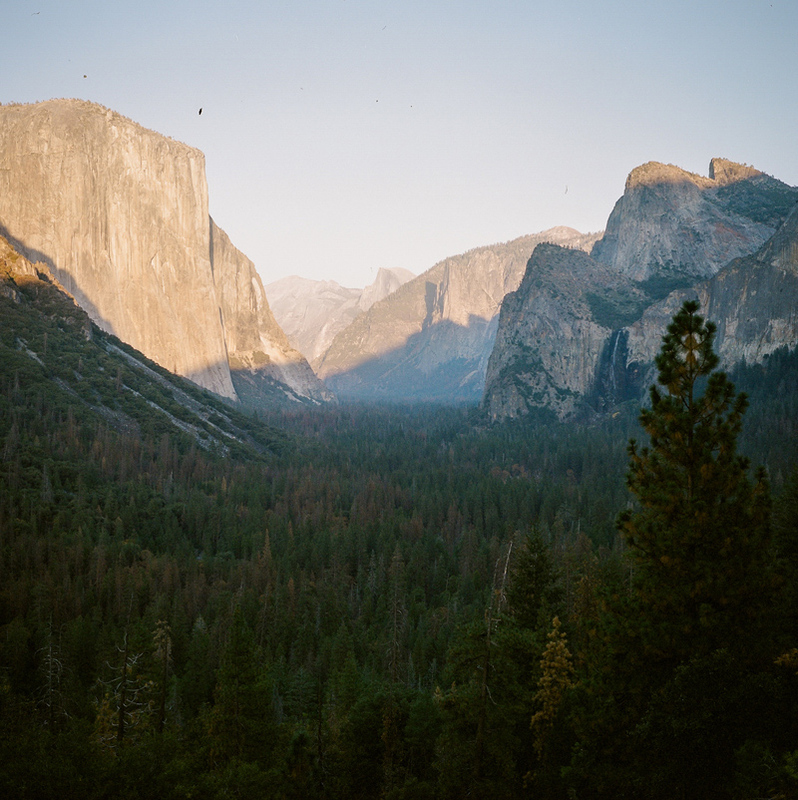 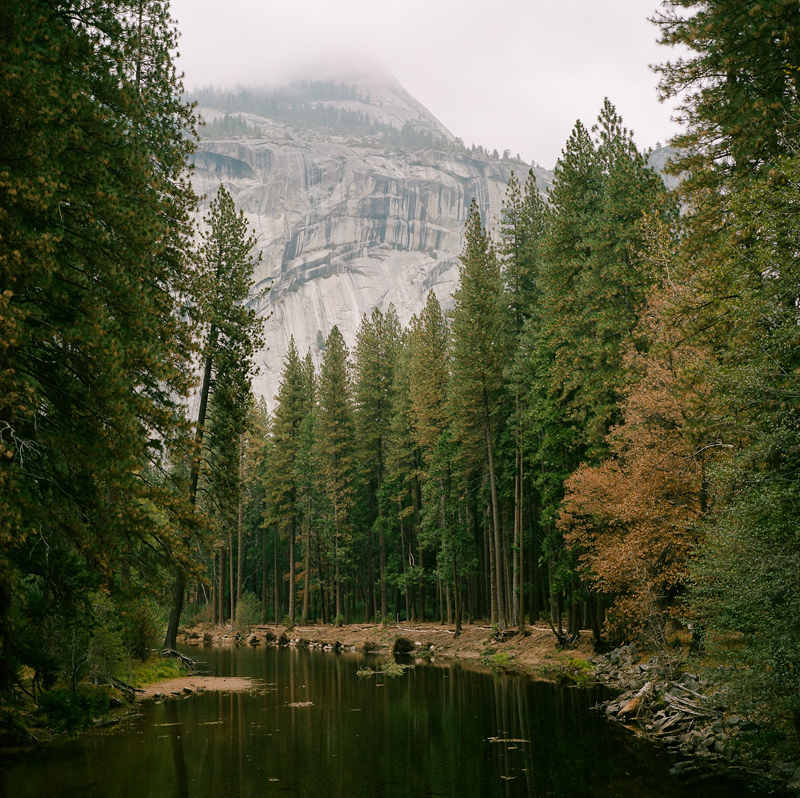 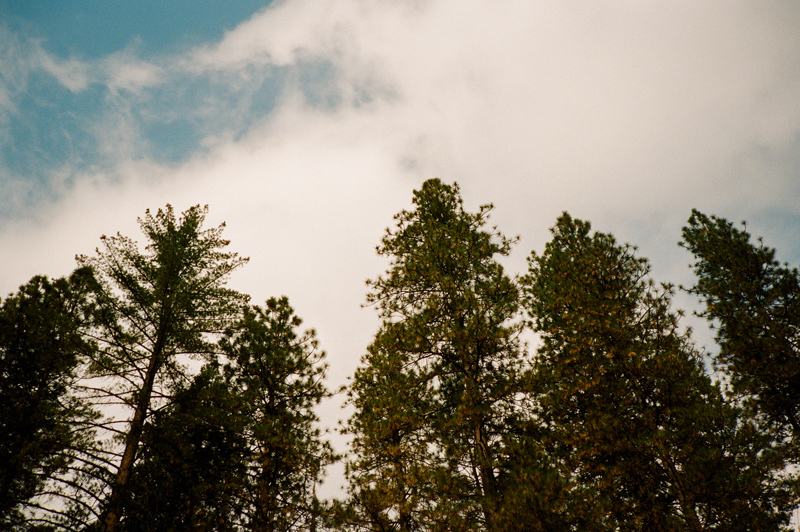 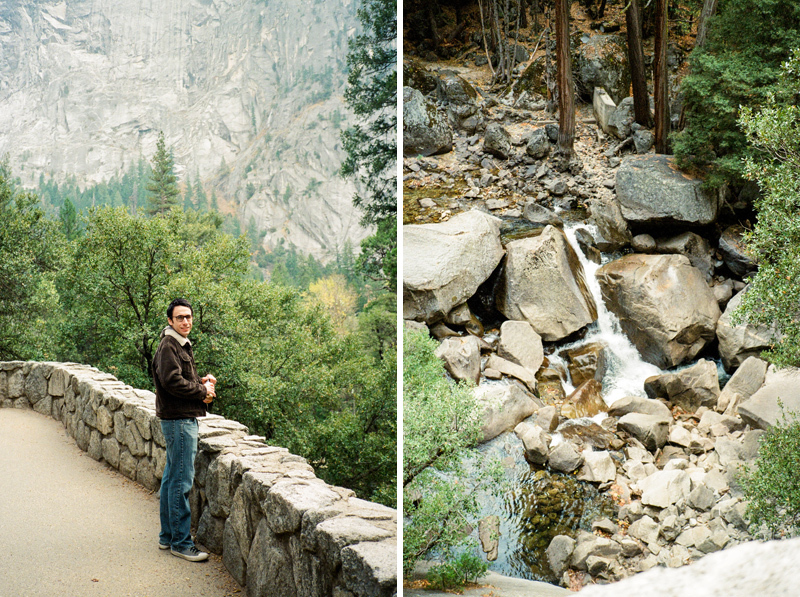 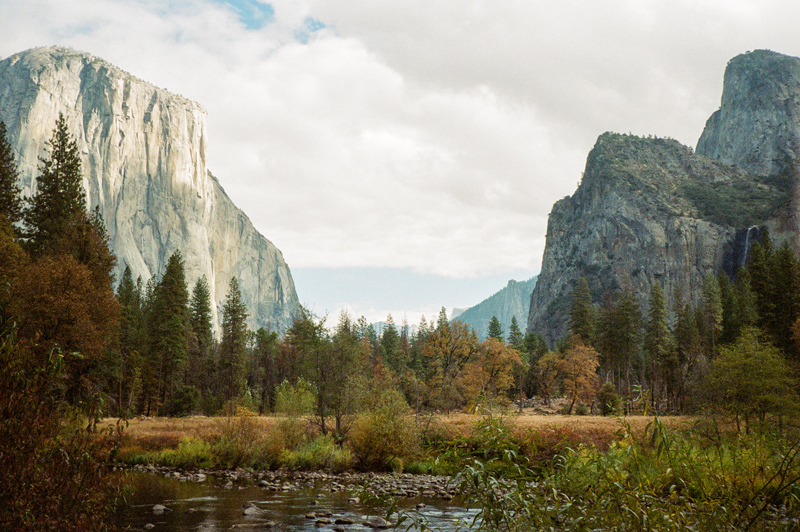 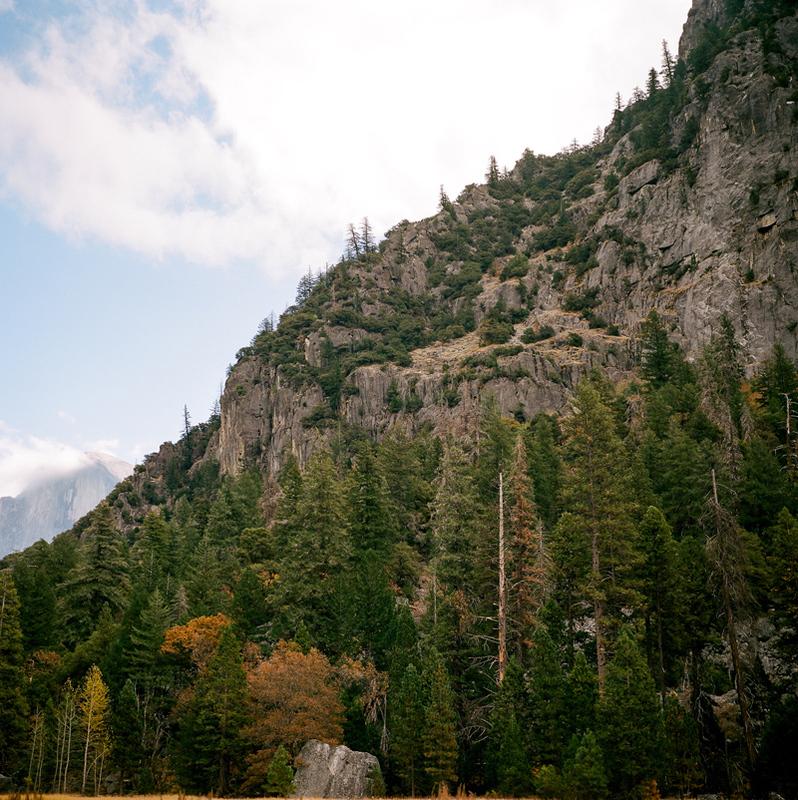 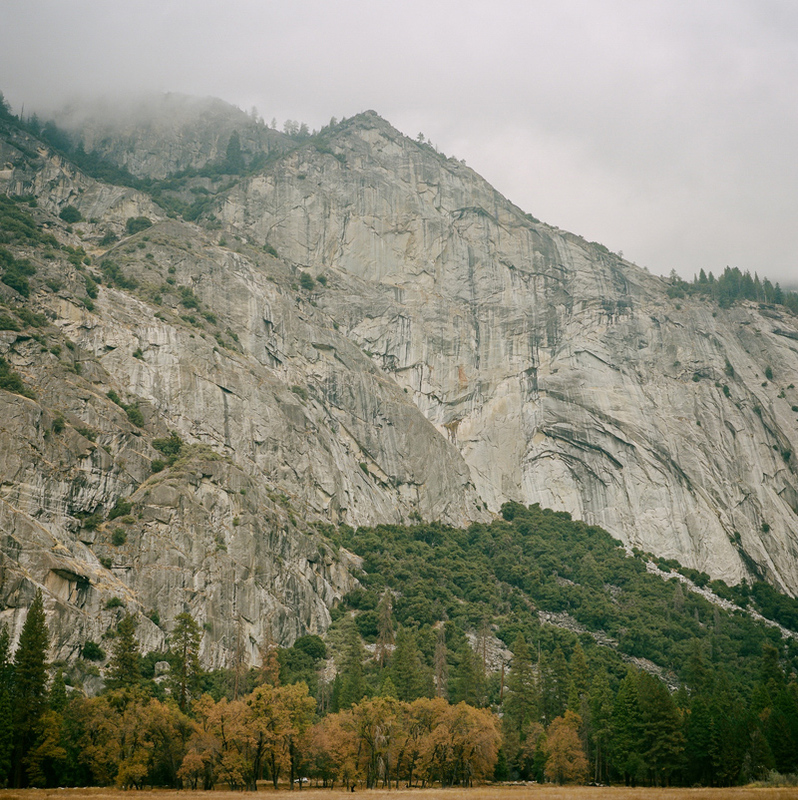 Last month, my husband Matthew and I took an impromptu trip to Yosemite National Park. 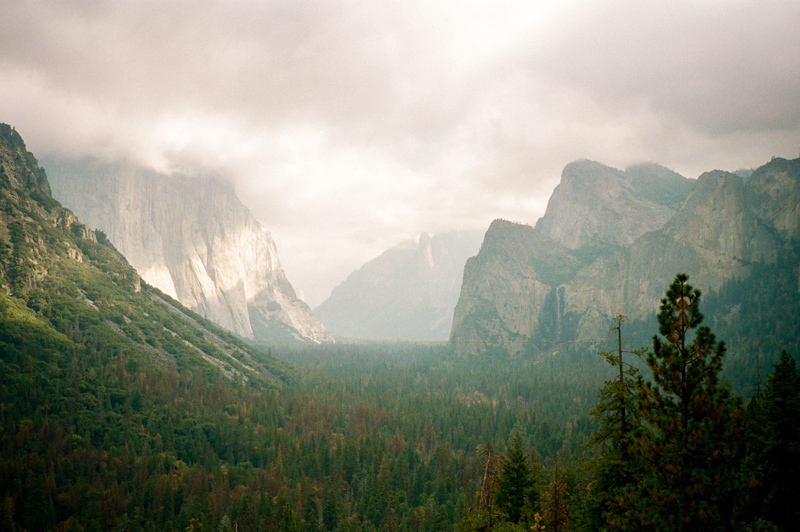 I’ve lived in California for over a decade and somehow this was the first time I went up to Yosemite but I already want to go back. 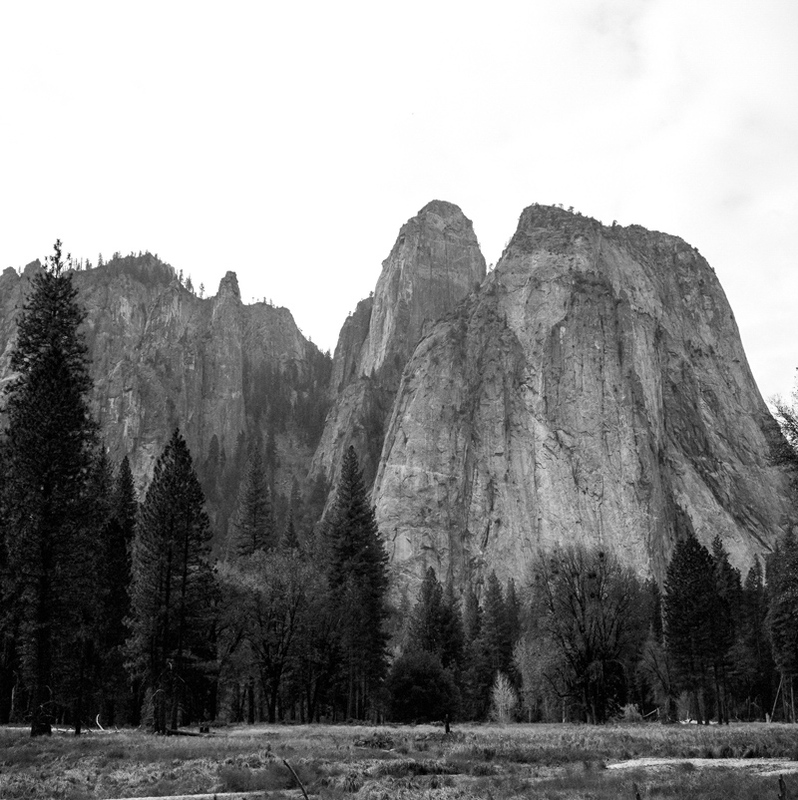 Considering that so many National Parks are under attack with proposals for defunding or protections of monuments being repealed, it feels so important to support these places and visit them now more than ever. 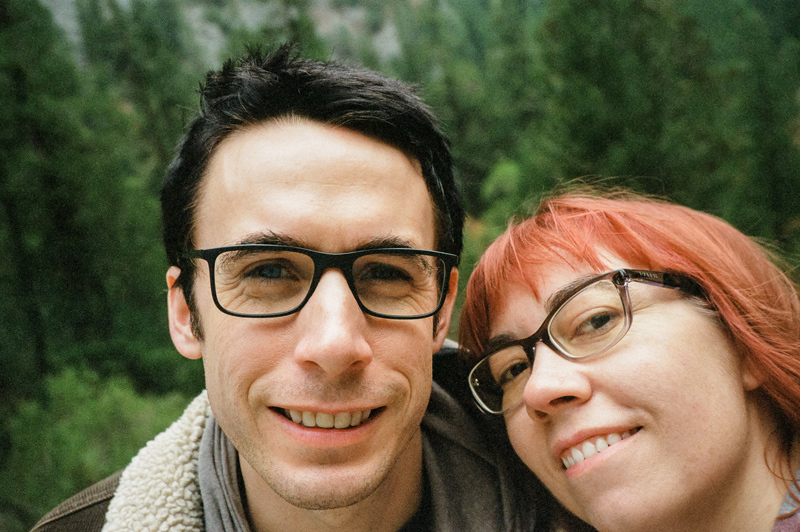 We went during the week in the off-season, which was great for avoiding big crowds, though the first winter storms coming in closed off the road to Glacier Point and so we missed going up there for the views this time. 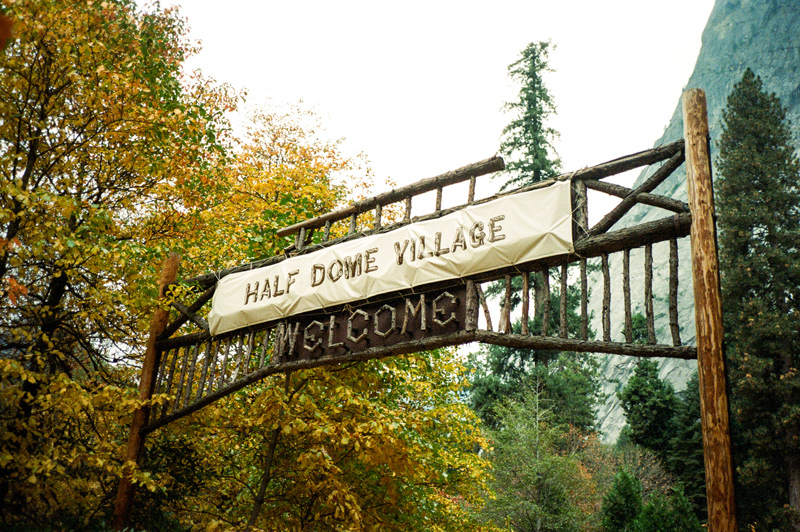 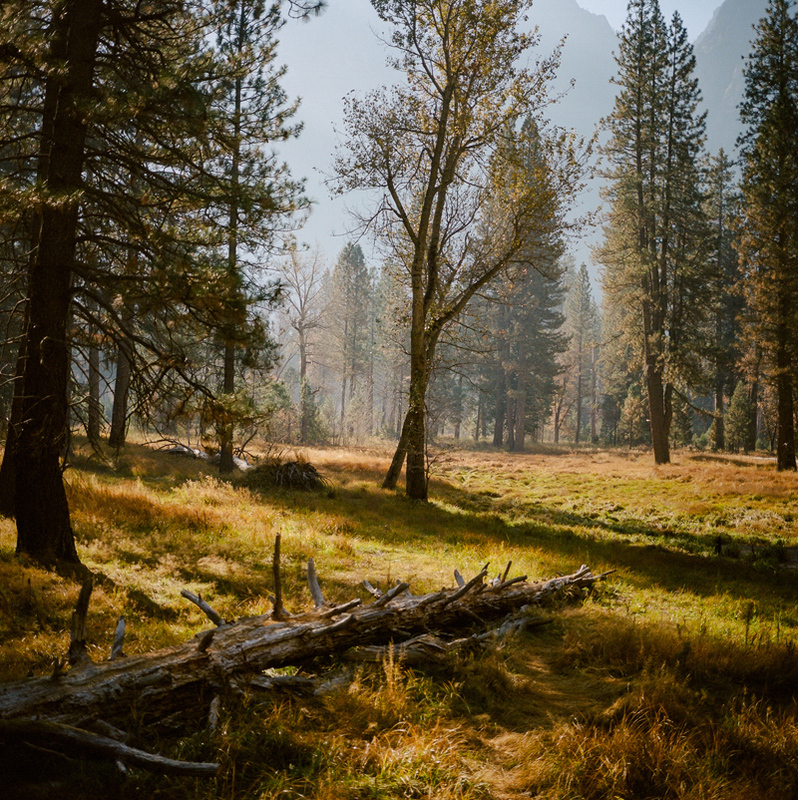 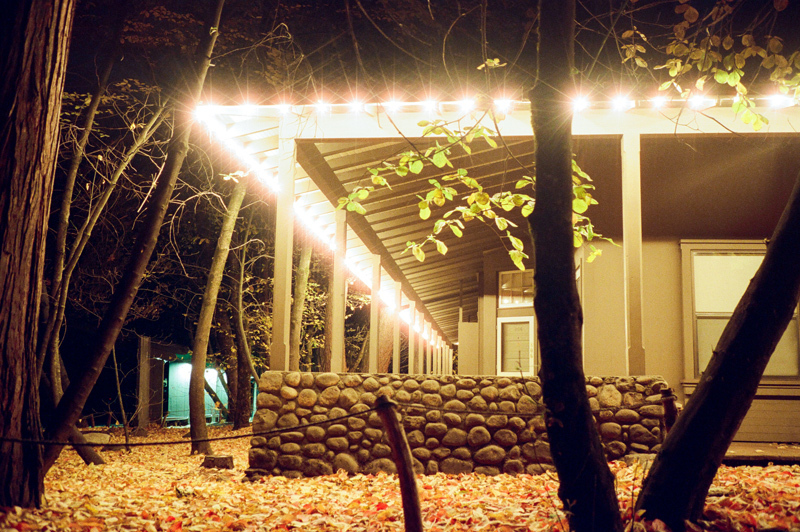 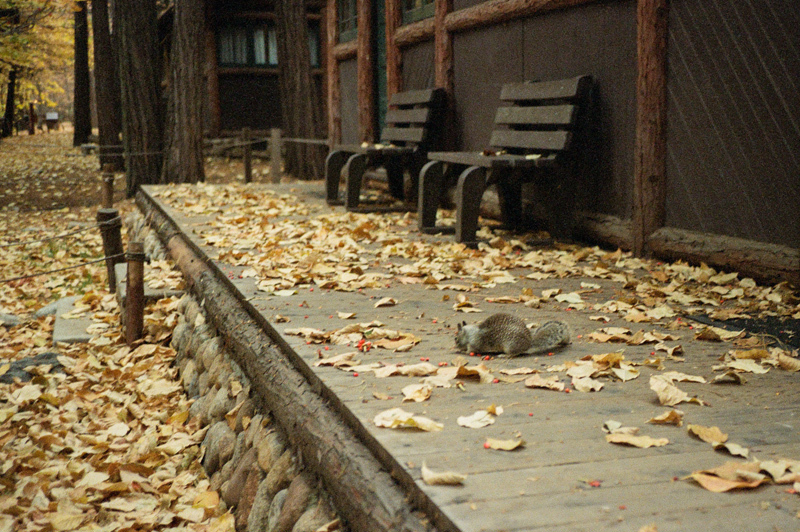 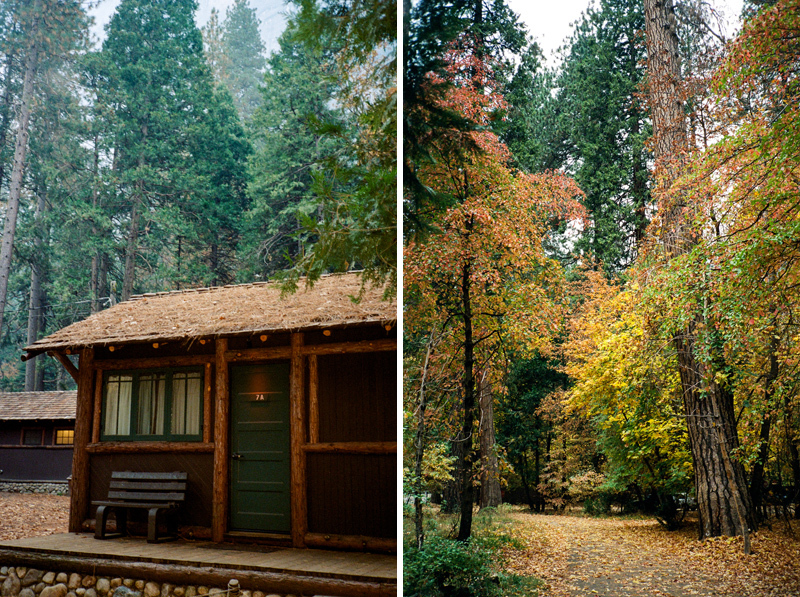 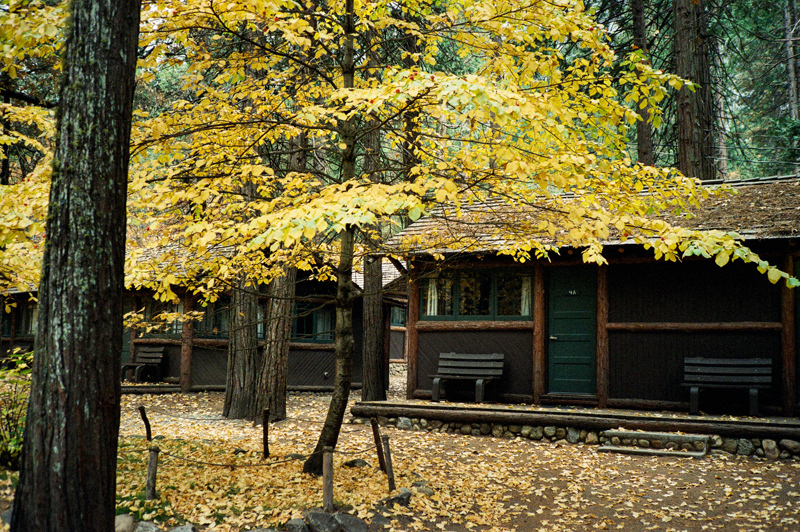 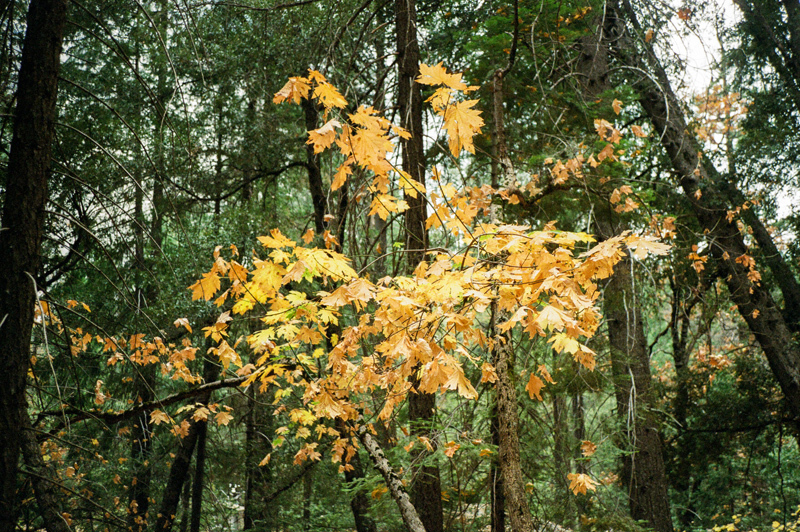 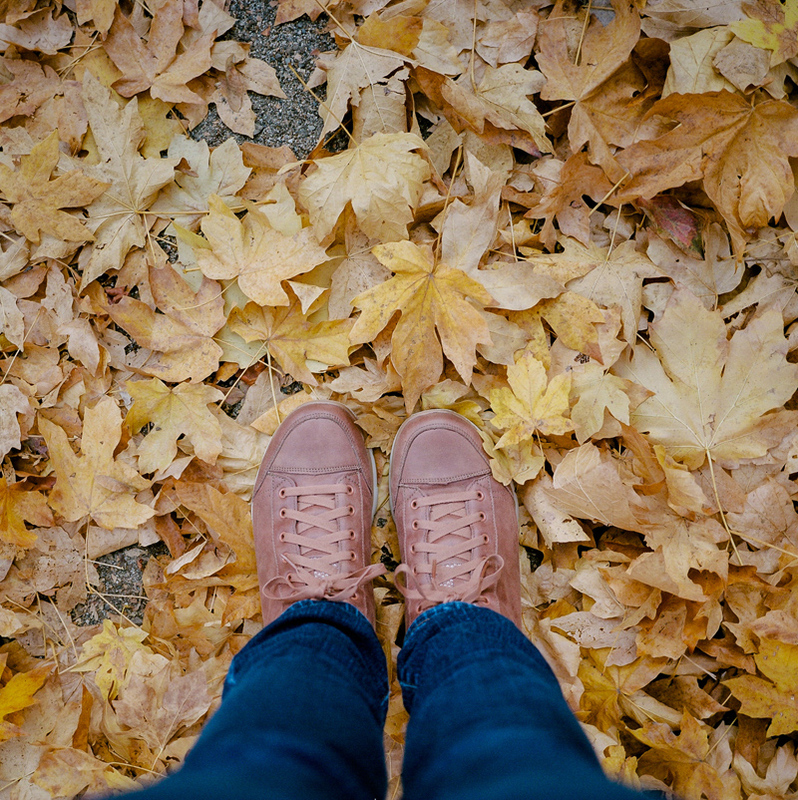 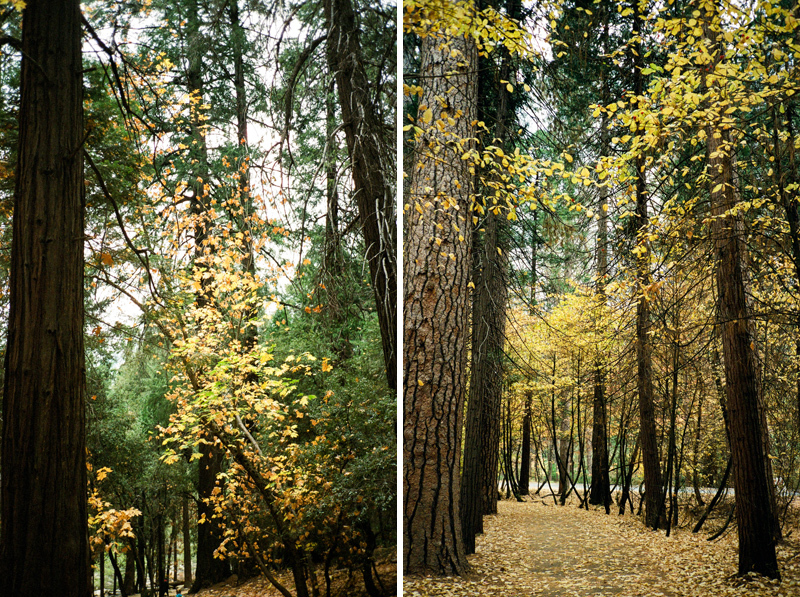 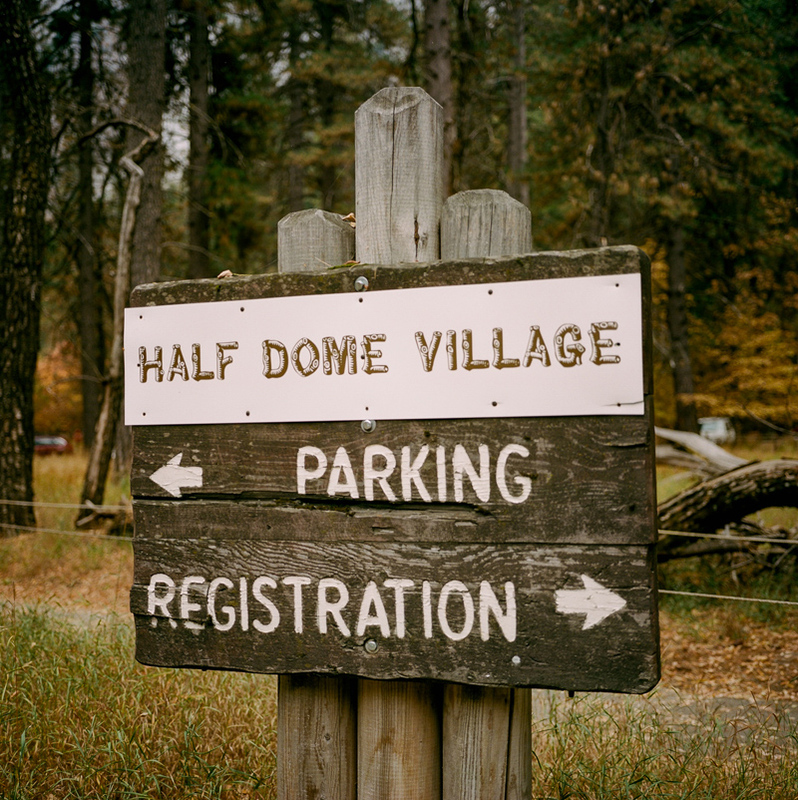 The cabins at Half Dome Village were the perfect combination of rustic feeling with comfortable amenities and the whole area was covered in gorgeous golden leaves that felt so much like the fall I was craving and not getting enough of in southern California. 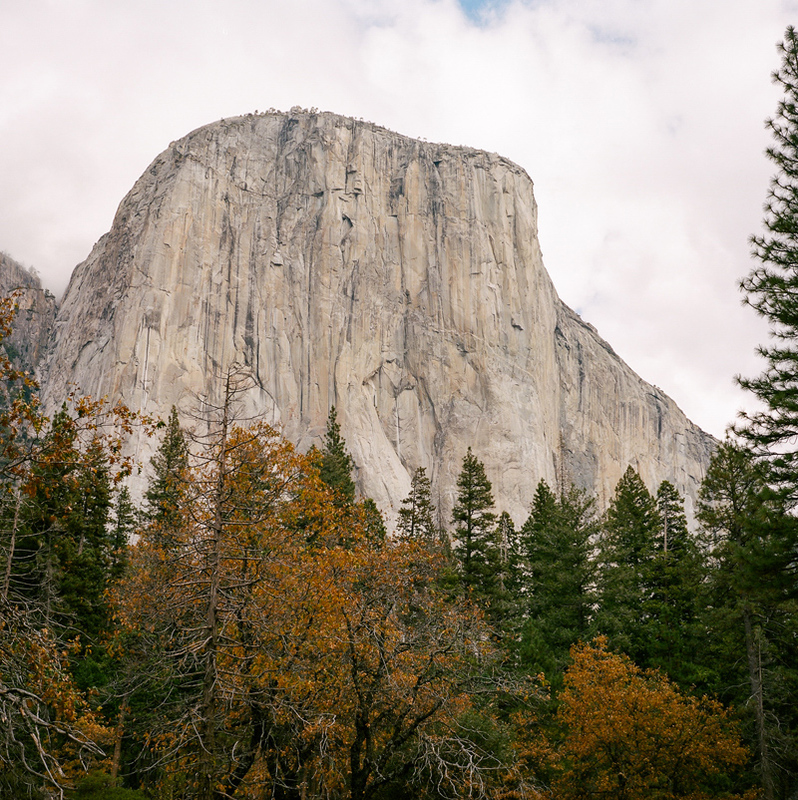 I think Valley View might have been my favorite spot for the incredible vistas of El Capitan and the reflections on the water, but I really loved all of it and was pretty much in awe the whole time we were there and everywhere I looked. 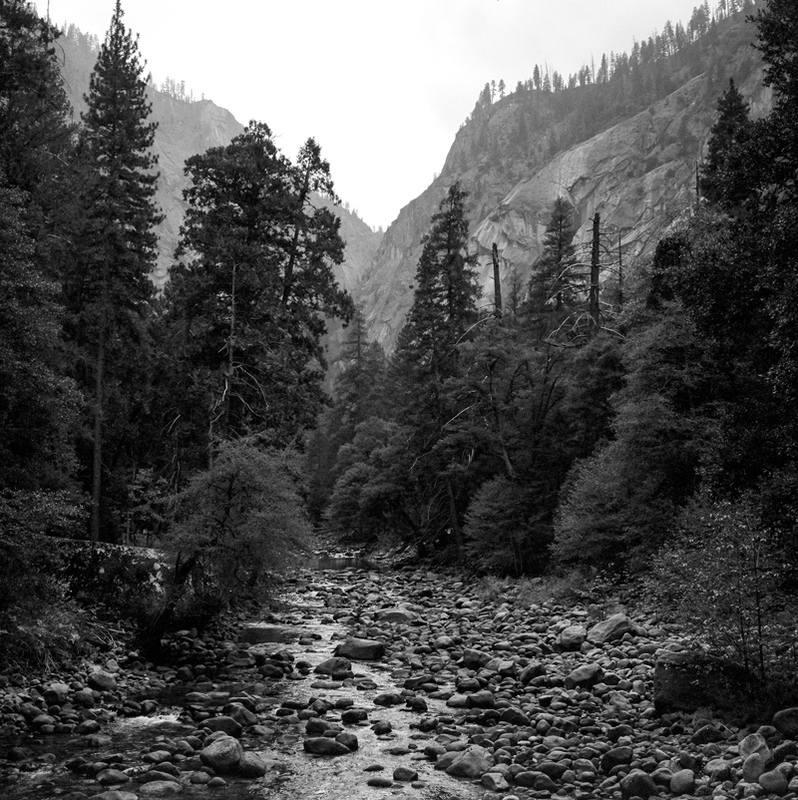 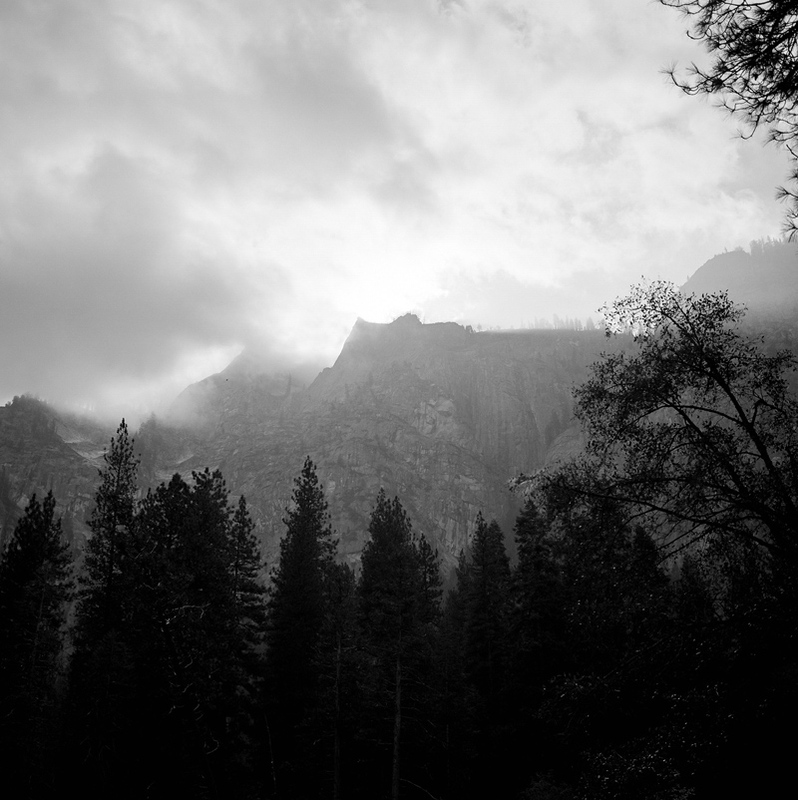 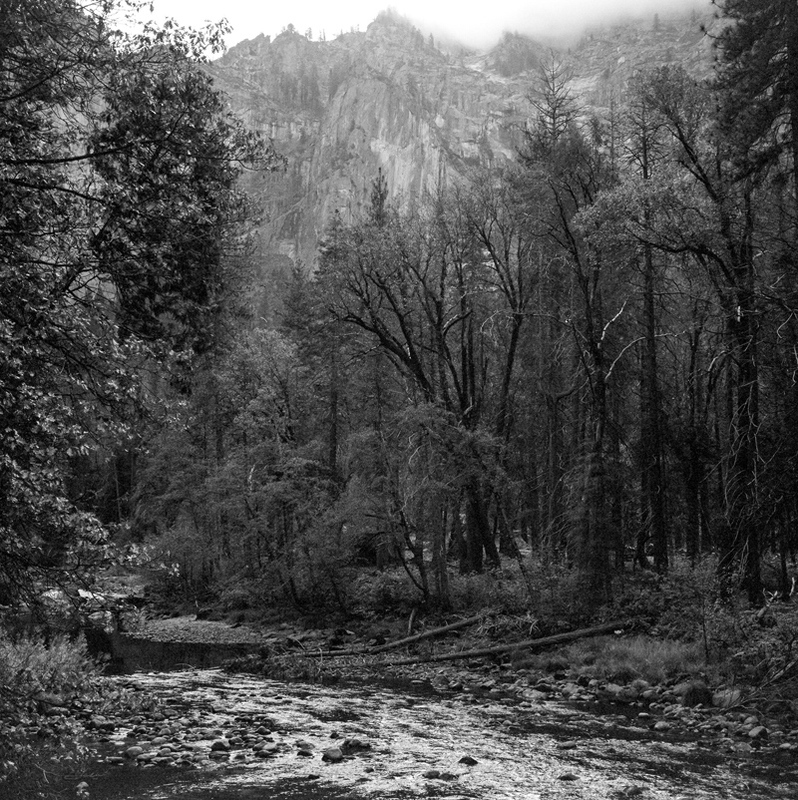 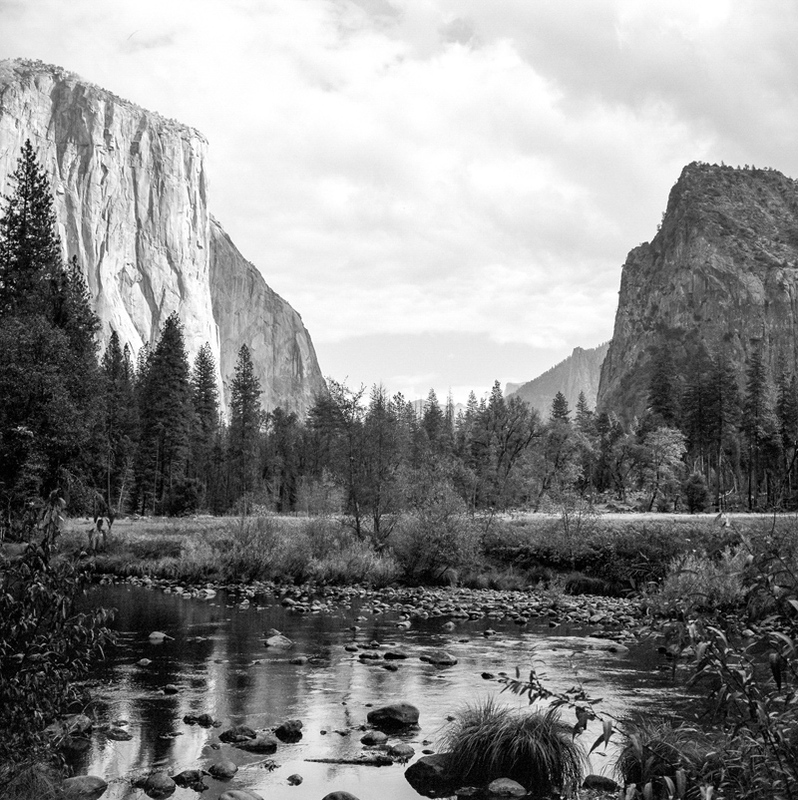 I even channeled a little bit of Ansel Adams with some black and white photos. 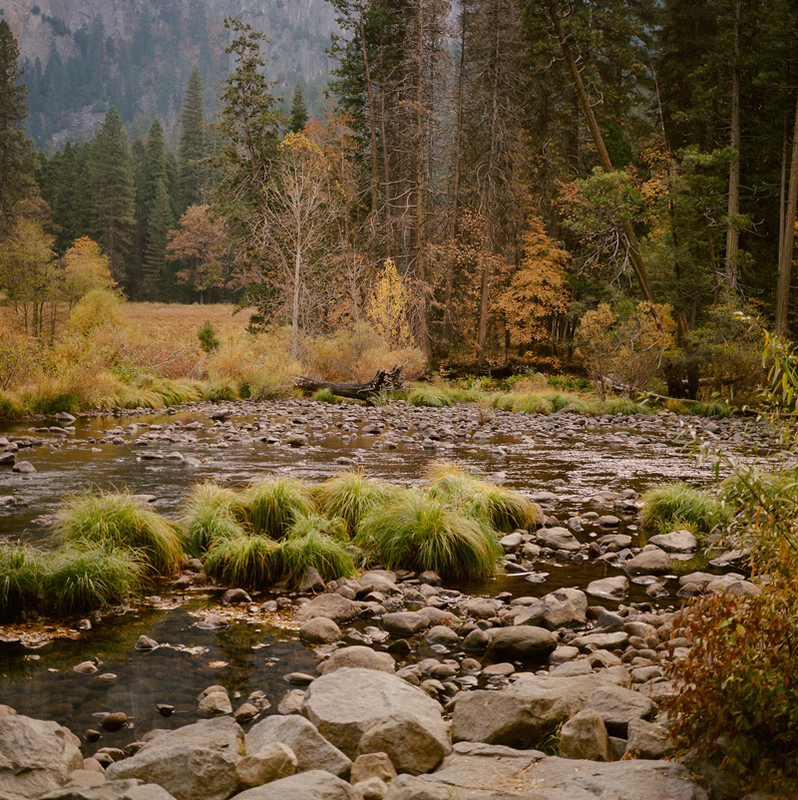 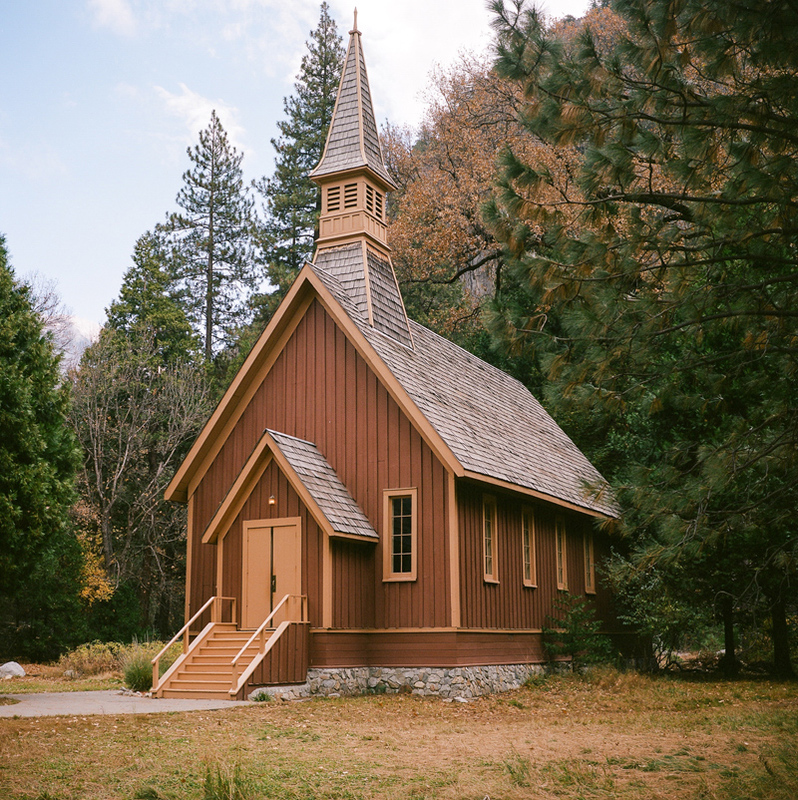 In addition to Yosemite being an amazing vacation spot, I kept thinking how lovely it would be for an elopement or wedding surrounded by all the epic natural scenery so if anyone out there is looking for a Yosemite elopement photographer next year, please get in touch with me about it! 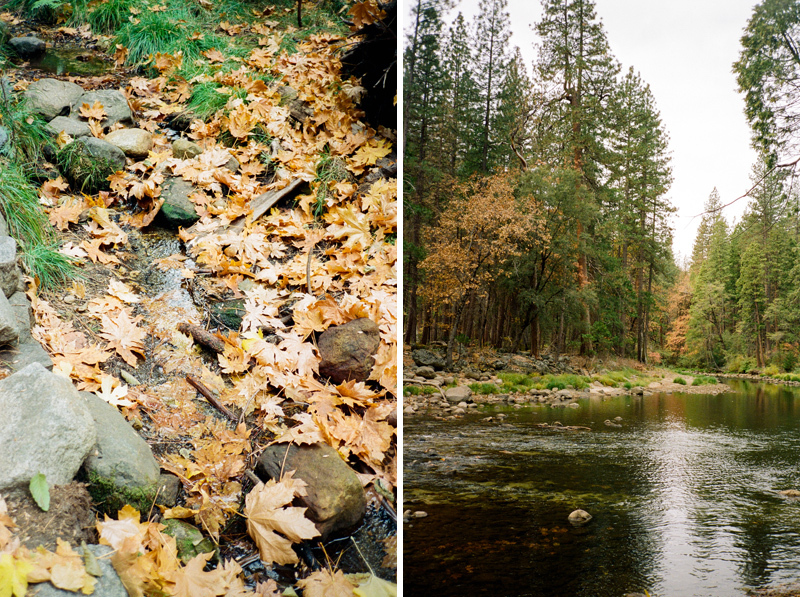 All these images are film – the square photos are on the Mamiya 6 medium format with Kodak Portra 400 and Tri-X 400, and the 35mm photos are on the Fuji Klasse with Kodak Gold 800. 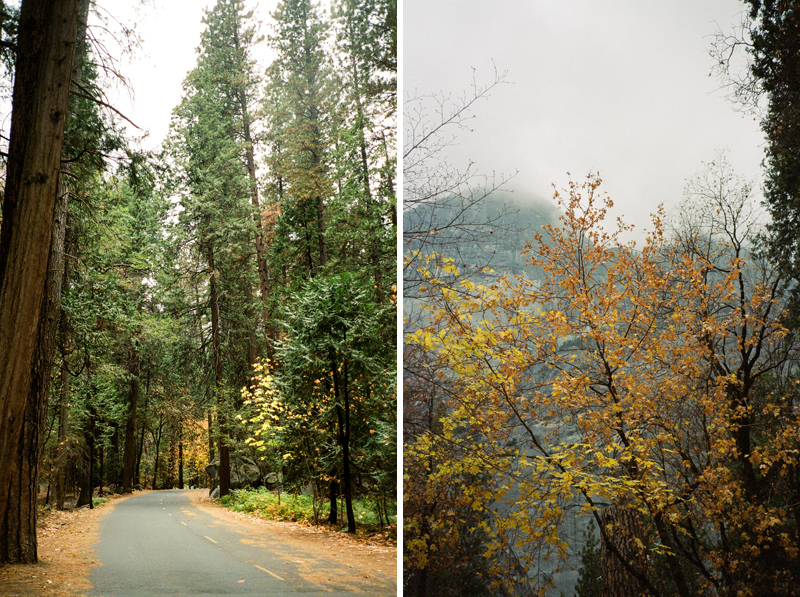 Man, every single one of these images makes me want to be there—so much heart and soul in this magical place. 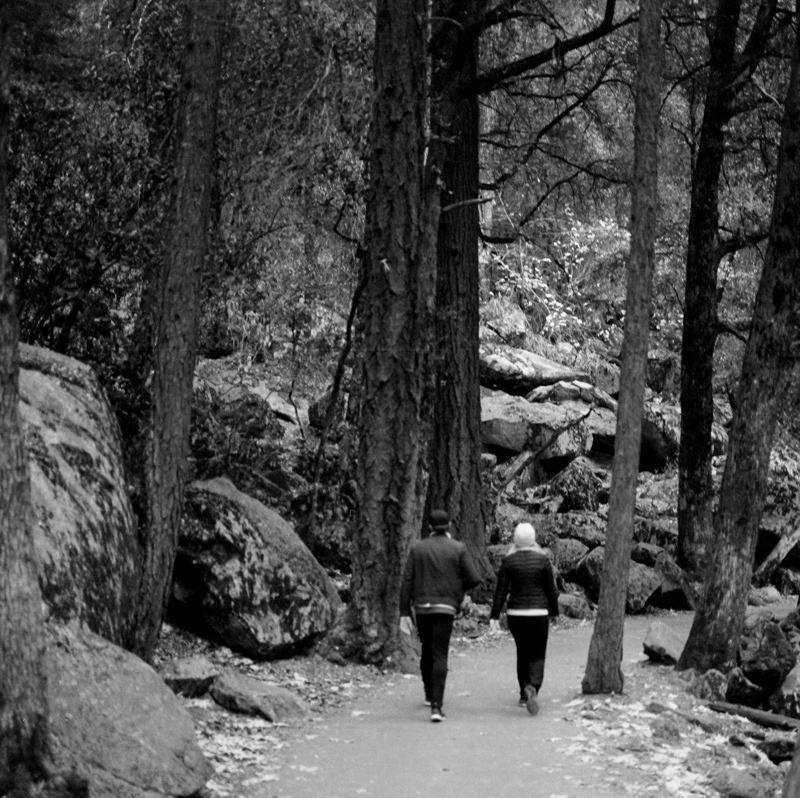 You captured it beautifully! 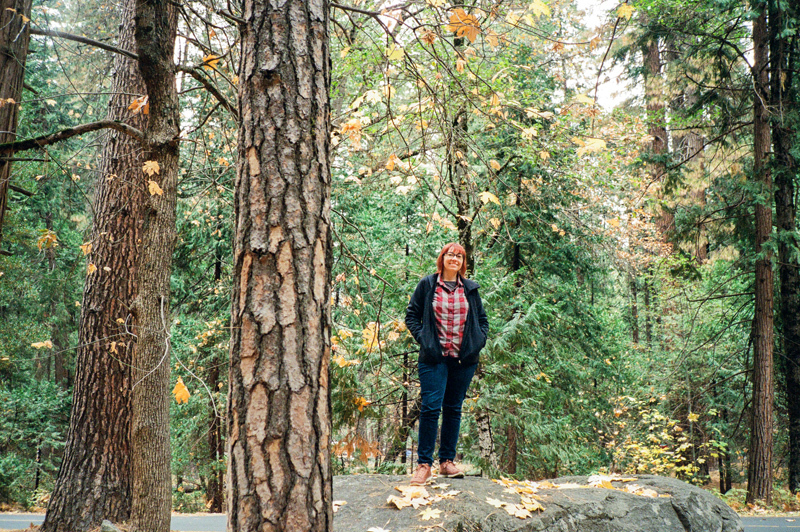 Love that you used film. 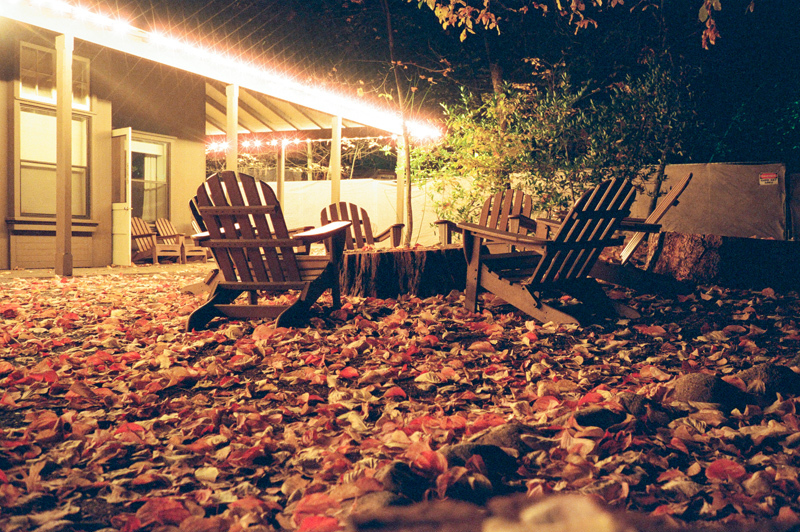 The photo look magical!